Wildest Dreams is #9 in the Thunder Point series. This one is the story of Lin Su and her son Charlie. It also continues the story of Winnie, Grace and their family. Blake Smiley is the triathlete who has arrived next door, we met him briefly in the previous book. Now he is in Thunder Point permanently. Lin Su is the nurse to Winnie and an excellent one. She is a great mother to Charlie, but just somewhat over protective and controlling. He is fourteen and beginning to want a little more independence. Charlie was a character I loved, he was so caring and respectful towards his mother, but also ready to spread his wings a little. Lin Su has had a very challenging time since she became pregnant with Charlie. She is gritty and feisty, but a little proud and unbending. I loved all the growth and development for Lin Su as the story evolved. Blake is a talented athlete and he and Charlie bond, Charlie admires him and they form a very understanding relationship. However Lin Su sees some of this as interference and she is vocal when she disapproves. Blake himself has not come from an easy background, growing up in a very poor area. He loves to help out youth from poor areas and help them to rise above and go places they never thought they could. We also catch up with some other inhabitants of this small town and its a time when there are three babies due just before Christmas. I love seeing into their lives as they live out their ‘happily ever after’! All is not going too well in the Sileski household, Seth’s parents are still not getting on and one of them is threatening divorce. I loved this book as much as the others, once I started reading I was pretty much engrossed and immersed again in the lives of these people. The romance is low key and beautiful, it is part of the package but doesn’t provide the whole focus. If you like that, then you’ll enjoy this, if you like romance to be more to the front, maybe this book isn’t for you. I thought perhaps events at the end were too quickly wrapped up. Personally I thought the new arrivals in various forms could have made a very nice Christmas novella! Some I notice have been disappointed but she just so suits me! I believe a new series is starting next year but can't remember where I heard that. My friend Karen normally reviews this series on my blog. She really likes the series but from memory was a little disappointed with the last couple … can't wait to see what she thinks of this one. 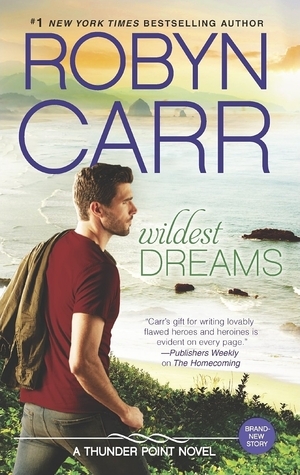 One day I will read Carr book!